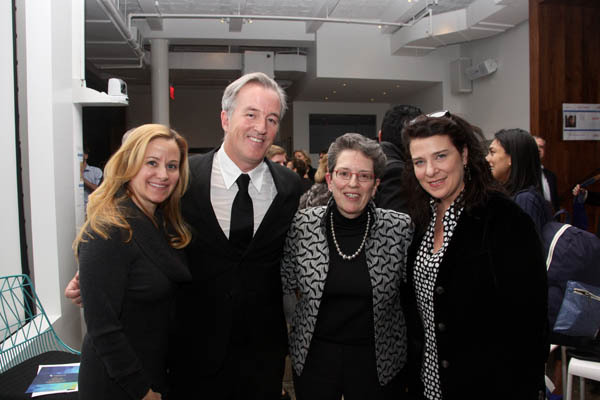 The International Centre for Missing & Exploited Children (ICMEC), a non-profit organization that advocates, trains and collaborates with global partners to protect children from sexual abuse, exploitation and abduction, hosted a special screening of the 2017 Oscar-nominated film LION on January 30 in New York City. Following the screening, Academy Award nominated screenwriter Luke Davies, internationally renowned, contemporary artist Jeff Koons, a founding member and longtime ICMEC Board Member, and ICMEC President and CEO Ambassador Maura Harty, answered questions from the audience. The screening was a kick-off event for ICMEC’s 2017 Gala for Child Protection: Because All Children Deserve a Safe Childhood, which will be held on Thursday, May 4 in New York City. The third annual gala will honor the 2017 Oscar-nominated film LION in recognition of its critical role in raising the global community’s awareness of the issue of missing children. Celebrated movie producer Harvey Weinstein, the co-founder of The Weinstein Company, which released LION, will accept the 2017 Champion for Children award in honor of the film. LION, starring Oscar-winning actress Nicole Kidman and Oscar-nominated actor Dev Patel, is based on the true story of Saroo Brierley. At the age of five, Brierley was separated from his brother in a train station and ultimately was forced to survive on the streets of Calcutta before being adopted by an Australian family. Later, as a grown man, played by Patel, he used Google Earth to reunite with his biological family in India. LION is considered a leading contender for the 2017 Best Picture Oscar, and actors Patel and Kidman have both received Best Supporting Actor Oscar nominations this year as well. Held at Tumblr, the screening was a private, invitation-only event. The 2017 Gala for Child Protection will be held on Thursday, May 4 at 6 p.m. at Gotham Hall in New York City. Proceeds from ICMEC’s 2017 fundraising gala will be directly invested in The Global Impact Fund. For ticket and sponsorship information, please visit the event website at gala.icmec.org.